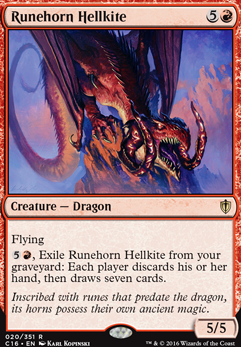 , Exile Runhorn Hellkite from your graveyard: Each player discards his or her hand, then draws seven cards. This deck looks delightful, but I'm worried about you running out of gas. 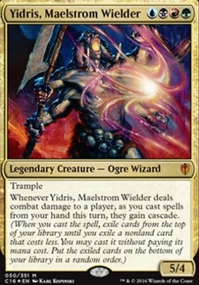 Some Draw power might help? 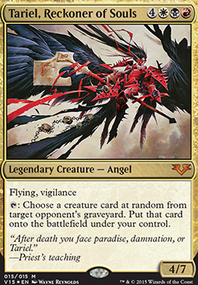 Harvester of Souls and Sandstone Oracle are outstanding. 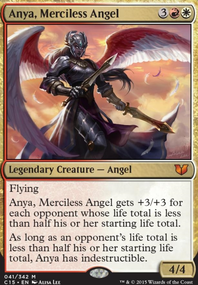 Maybe consider Chandra, Flamecaller , Khorvath's Fury , Reforge the Soul , Rix Maadi Reveler , Runehorn Hellkite ? Or if you wanna keep things simple and cheap, Read the Bones and Moriok Replica are solid. Also, Guttural Response for shouts. I like what you've doing here. I was thinking of trying a similar version of Xantcha that eschewed the standard fare of quasi-aikido/punisher effects. 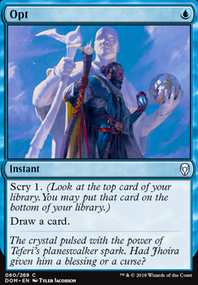 A few suggestions: Words of Waste is in some other Xantcha lists, but it seems particularly on point here, especially paired with Waste Not or Geth's Grimoire to recoup the loss of the draw. 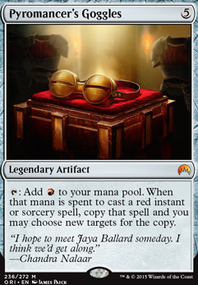 Drownyard Temple becomes discard fodder into mid-game ramp. Runehorn Hellkite becomes discard fodder into a late-game wheel effect. That's all I've got for now. I'll likely reference your list for what I'll end up brewing. Thanks for putting it together. Yo looks like you're having fun with this, I like it! +1 mate! 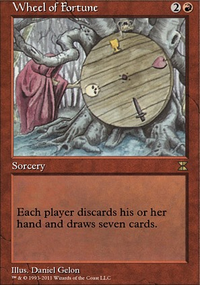 I count 7.5 draw (though less, really, because some discard), but what you have doesn't give you many options. -This is commander! Draw like crazy so you can actually play! 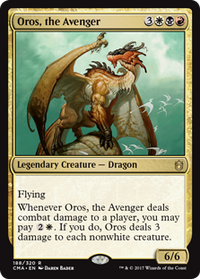 What about Avaricious Dragon, Dragon Mage, Knollspine Dragon, and Runehorn Hellkite?